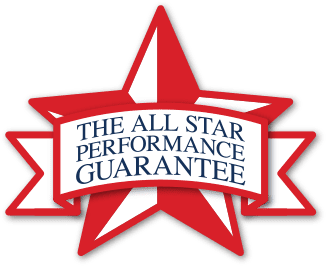 Our Process - All Star Construction Inc. CALL US TODAY: (713) 847-0294 GET A FREE ESTIMATE! We truly take pride in our work and enjoy making “the house you have, the home you want!” All Star Construction is a Houston-based residential design/build firm, servicing Houston, as well as Kingwood, Spring, Pearland, Sugar Land, Katy, Cypress, The Woodlands, and other surrounding areas since 1979. We are available by phone 24 hours a day by a real person and our clients have a dedicated Project Manager assigned from start to finish. With over three decades in the industry, we have developed a dedicated team that ensures our projects are completed accurately and timely. We have been an accredited business with the Better Business Bureau since 1980 and currently hold an A+ rating. Set an appointment- Call us at 281.847.0294 or submit your information on our website at allstarconstruction.com. Smaller projects of a more simple nature may be priced out on the first visit and a proposal accepted. On large projects requiring design and more involved estimates ball park figures will be discussed, measurements, pictures, and info gathered for a later return trip with a design and a firm price. We would like all decision makers present for this meeting. In some situations lacking definition and having lots of unknown variables- you may hire us to conduct a feasibility study by signing a pre-construction services agreement. In rare cases, the project may be one that we choose not to take on. The project manager may meet with you several times until you are comfortable with the project details, price, and design. All Star will obtain all the necessary permits and help obtain home owner’s association approval (if needed). Note on our Free Designs: A service we offer to our customers only, you will not get a copy of the design until work begins (we will bring it to you each time to review).